LONDON, England -- The recent developments in Ukrainian foreign politics by newly-elected President Viktor Yanukovich are hardly pleasant for those who said that under his leadership Ukraine would immediately go into the Russian zone of interests. His initial initiatives vividly demonstrate that he is likely to become a responsible Ukrainian leader, supported by the citizens and enjoying international respect. The most important fact is that the new Ukrainian power should recognize itself as patriotic, protecting its independence in all spheres, political, economic and military. 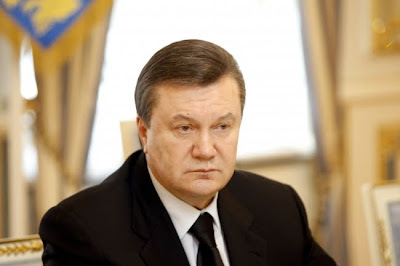 So, what is so wrong with Yanukovich politics, which causes anxiety and makes Europeans believe he is inconsistent? After thorough analyses of his political deeds, speeches and intentions the conclusion is obvious - the main problem is our perception of his controversial past, when he was thought to be a strictly pro-Russian politician. In that time (2004) nearly the entire propaganda machine of the West harshly criticized him and made us believe several illusions; that he simply could not become the appropriate leader of independent European country. The fact was we were afraid of him as a close Russian ally and possible dictator of the type of Belarussian President Alexander Lukashenko. But reality suddenly turned very unpleasant for Europeans. It turned out to be that strictly pro-European and purely democratic leaders of Ukraine almost brought the country to the edge of disaster. The excess of patriotism led Kiev to direct conflict with Moscow. It ended in several decisions of Ukrainian executive power which were not accepted by the European Parliament. We came to the conclusion that it was not necessary for Europe to support an anti-Russian leader of Ukraine. The best possible variant was a pragmatic Ukrainian leader. Today, Ukraine can profit most of all from its intermediate position between Europe and Eastern counties, Russia, Kazakhstan and China. Though he made some clear promises during his campaign, that were welcome in Russia, their necessity should be understood. Yanukovich represented the eastern and southern part of Ukraine, a population attracted by the idea of cooperation with Russia, and against NATO integration, whose support he needed. He understood that to be President he should not rely on Russia as it has a different goal – to control Ukrainian political and economic life. The only alternative was to find a balance between the European Union and Russia. Yanukovich has to ease the factor of Ukrainian foreign policy most irritating to Russia: stop NATO integration and quit nationalistic tendencies. His tendencies could be illustrated by his recent official visits. Despite the open dissatisfaction of Russia, he went to Brussels first, where he stated Ukraine will go on with the EU integration and not try to change the constitution to stop it. He avoided visiting NATO. The ongoing support of EU integration by Yanukovich irritated his Russian counterparts and was not granted the support he had expected during his visit to Moscow. Russia continues to be pragmatic, and that gives the EU a chance to strengthen its influence within Ukraine. But we should also understand that the time for empty promises has passed. The new leadership of Ukraine is pragmatic too and has to deal with economic crises and needs support. The EU is struggling to help Greece with its budget deficit and has numerous problems, but financial support is the last thing that Ukraine is asking for. It needs political decision from Brussels to show it backs the country’s EU hopes. An association membership treaty and Free Trade Agreement should be signed as soon as possible. This act will bring Ukraine close to Europe.